TheWiseJobSearch: Take a job or build a career? Take a job or build a career? If I take this job, how will it look on my resume for the next time around? It’s certainly a valid question to ask… but one that usually has no easy answer! In order to know whether a particular job will help or hurt you in obtaining the next job you want, you have to know what next job you want! If you have no direction in mind for your career, then it’s not possible to know whether taking this job will help or not. I had a conversation with someone that is young in their career in accounting. They had risen to an Accounting Manager role in their last position before being caught in a massive corporate lay-off. They now have an opportunity at a staff accounting role in a smaller organization, however, it would pay even better than their last leadership role. Their concern is whether taking that kind of position would help or hurt in the move they may choose to make after this one. A very high percentage of people don’t really have a plan or goal for their career, and rather simply view their work as something to show up to and perform each day in some vague hope that it will lead to better things. There is nothing intrinsically wrong with that approach, and many people ultimately end up in positions of great responsibility or prestige without really having aimed to get there. If that’s your approach, any one particular job may help or hurt in that process, but that can’t necessarily be figured out in advance. If, however, you have a distinct objective for your career, planning and choosing carefully how to get there is imperative. How desperate is my current financial situation? What is the financial risk of not accepting this position now? What are the prospects of a more attractive opportunity surfacing in an acceptable period of time? What would my resume look like with a longer gap vs. a position that’s a step backward? How does an extended time unemployed affect my skills and employability? Could I make a credible case to a future employer of why this position is an asset rather than a diversion to my goal? Would I be content doing this position on a daily basis? Is my career a major consideration for me or do I work primarily for a paycheck? 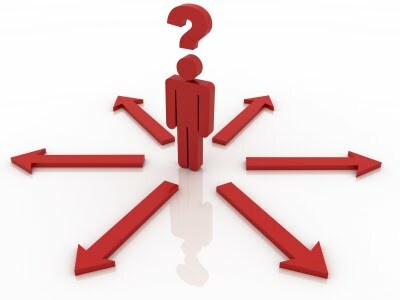 No one should make a decision whether you should take a particular job or not. It’s a personal choice based on your goals, preferences, and circumstances. However, asking yourself a number of key questions can make the decision clearer.